How much do you know about the radiation all around you? Your electronic devices swarm with it; the sun bathes you in it. It's zooming at you from cell towers, microwave ovens, CT scans, mammogram machines, nuclear power plants, deep space, even the walls of your basement. You cannot see, hear, smell or feel it, but there is never a single second when it is not flying through your body. Too much of it will kill you, but without it you wouldn't live a year. 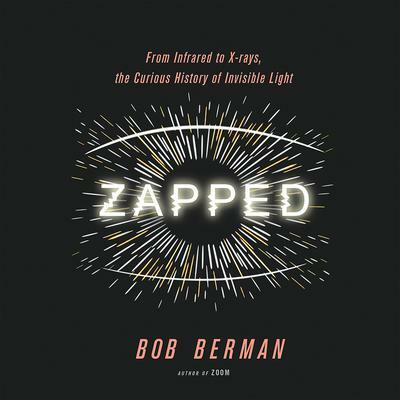 From beloved popular science writer Bob Berman, ZAPPED tells the story of all the light we cannot see, tracing infrared, microwaves, ultraviolet, X-rays, gamma rays, radio waves and other forms of radiation from their historic, world-altering discoveries in the 19th century to their central role in our modern way of life, setting the record straight on health costs (and benefits) and exploring the consequences of our newest technologies. 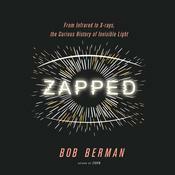 Lively, informative, and packed with fun facts and "eureka moments," ZAPPED will delight anyone interested in gaining a deeper understanding of our world. 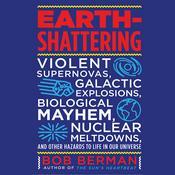 From beloved popular science writer Bob Berman, ZAPPED tells the story of all the light we cannot see, tracing infrared, microwaves, ultraviolet, X-rays, gamma rays, radio waves and other forms of radiation from their historic, world-altering discoveries in the 19th century to their central role in our modern way of life, setting the record straight on health costs (and benefits) and exploring the consequences of our newest technologies.